The new-for-2019 M6 iron, unleashed today, is TaylorMade’s most advanced game improvement iron to date. 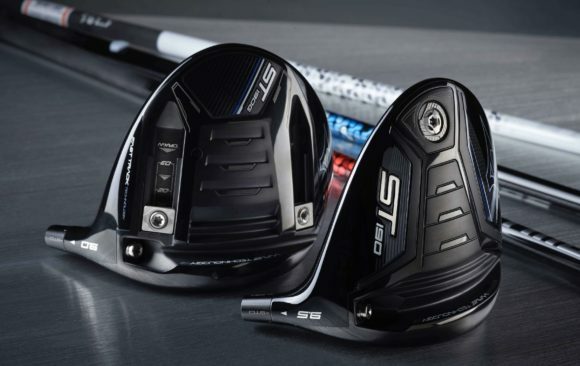 They feature a host of technologies designed to offer you an outstanding combination of distance, accuracy and solid feel in a forgiving, confidence-inspiring shape that is easy to hit. 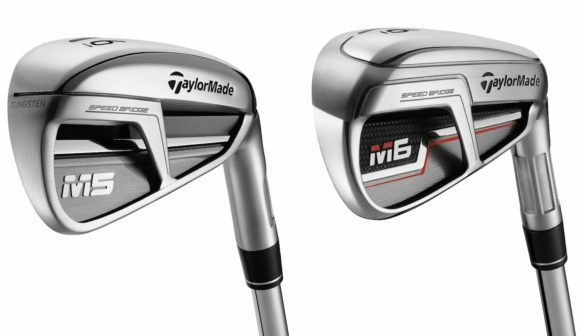 The M6 iron’s performance has been taken to the next level with the addition of SPEED BRIDGE, which you can find out more about here. The M6 iron’s SPEED BRIDGE spans across a deep undercut cavity back design for an unparalleled combination of distance and forgiveness with enhanced sound and feel in the 4-PW. 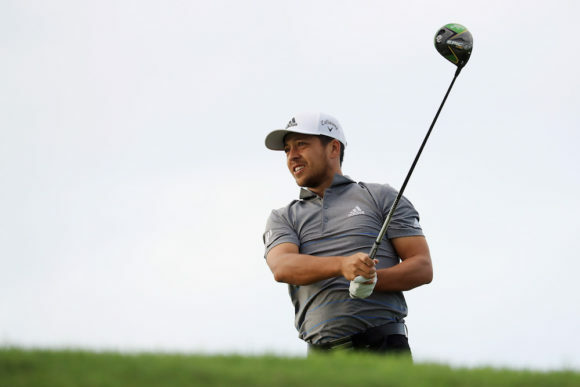 “At TaylorMade, we have always strived to push the performance envelope to give players maximum distance and forgiveness in our game improvement irons,” explained Bovee, TaylorMade's Senior Manager of Product Creation. “Our new SPEED BRIDGE technology allows us to do exactly that while improving sound and feel at the same time. Distance has never felt as good as it does with the M6 irons." In addition to SPEED BRIDGE, the M6 iron houses much more performance-enhancing tech. 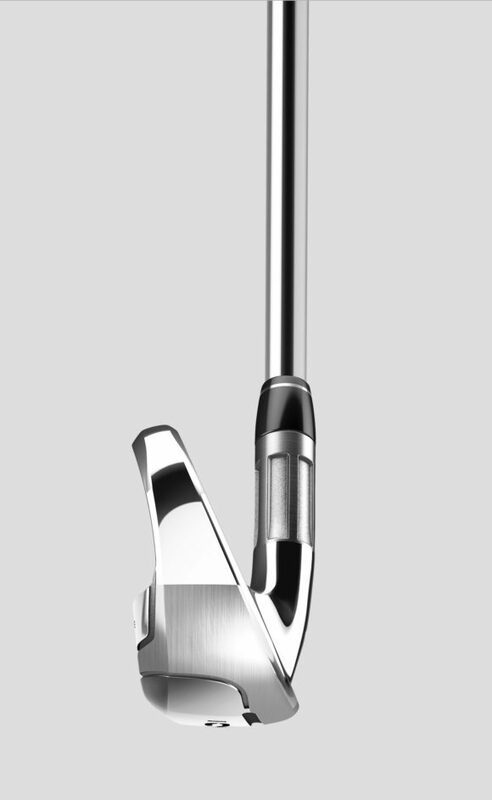 An extremely low and deep centre of gravity (CG) is achieved through design optimisation and proven technologies such as the Fluted Hosel and 360° Undercut to harvest trapped mass from the highest location in the iron and relocate it low in the head design. This low CG design produces an efficient energy transfer at impact with a high launching, penetrating ball flight even for mishits low on the face. 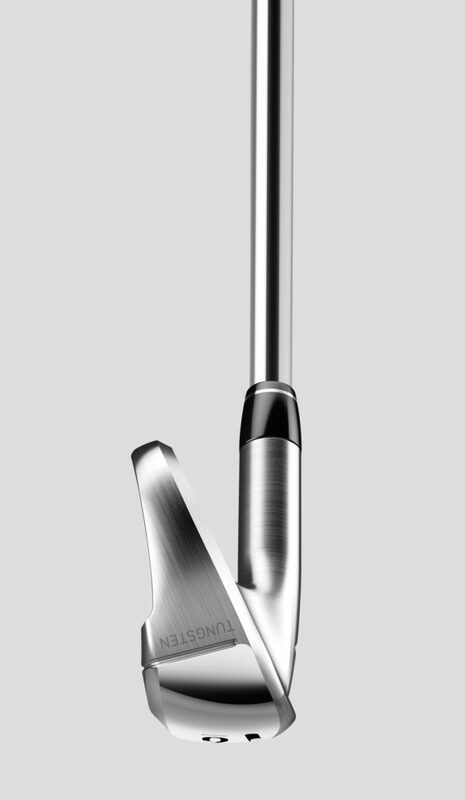 The M6 iron also has a high Moment of Inertia (MOI) for stability and forgiveness making it remarkably easy to play. 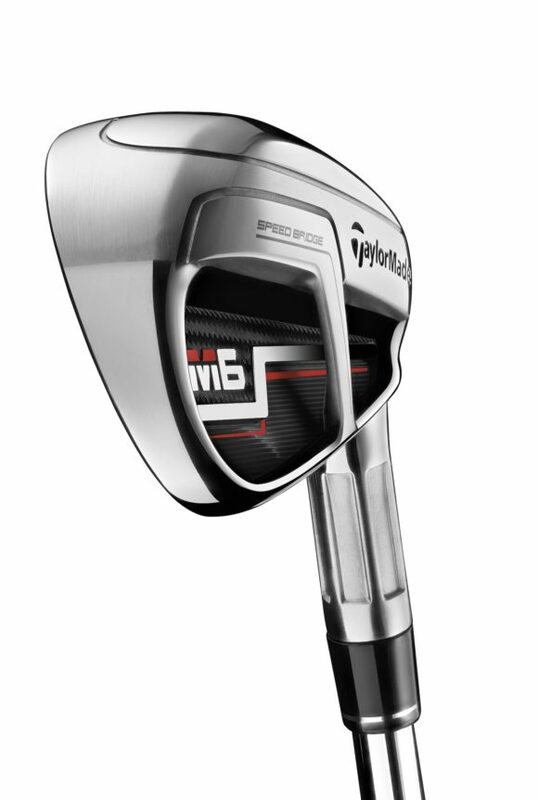 The M6 iron employs an ultra-thin face design with TaylorMade’s patented Inverted Cone Technology (ICT). An ultra-thin face allows the iron to be flexible and fast, but the secret to a truly optimised design lies within pairing a thin face with the ICT. The ICT design uses varying thicknesses to deliver maximum ball speeds over a large area face and the off-centre positioning delivers a directional bias. Simply put, the ICT gives you a larger and more accurate sweet spot. The all new SPEED BRIDGE, Speed Pocket and HYBRAR technologies combine to give you the best of both worlds; an iron with game changing distance and a pleasing soft, solid feel at impact. Stock Shaft Options: KBS Max 85 steel shafts (S, R), Fujikura’s ATMOS Orange graphite shafts (7S, 6R & 5A).